Dr. Roger Tomlinson created the first computerized geographic information system in the 1960s while working for the Canadian government. 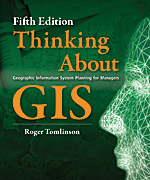 His book, Thinking About GIS, provides a common platform on which to base GIS planning and helps managers determine the data and technology their organization will need. 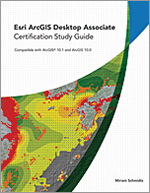 The fifth edition reflects the latest trends in geospatial technology and includes updated case studies. 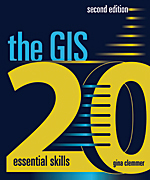 Exercises from Tomlinson’s course Planning for a GIS and a video of the “Planning and Managing a GIS” seminar from the 2012 Esri International User Conference are included on the accompanying DVD. September 2013. 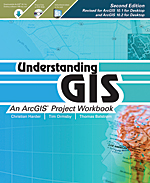 ISBN: 978-1-58948-348-4, 280 pp., US$54.95.